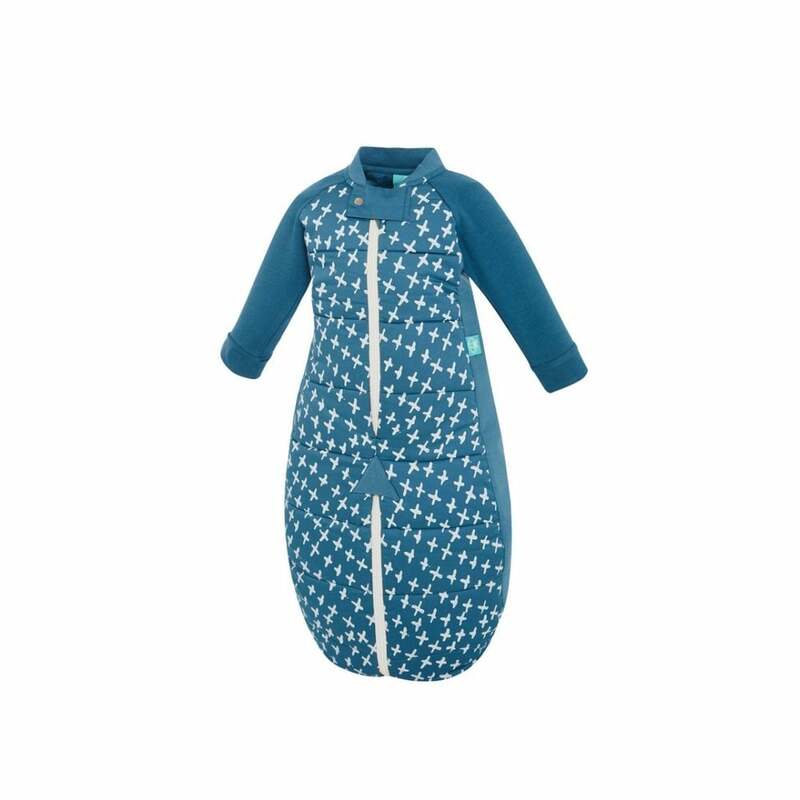 ErgoPouch Winter Baby Sleep Suit Bag 2.5 Tog is a safe way to keep your child warm whilst sleeping without the need for too many layers or blankets. Perfect for toddlers who struggle to sleep in bags, or need more movement but are still too young to manage with duvets. Why should I choose the ErgoPouch Winter Baby Sleep Suit Bag 2.5 Tog? The ErgoPouch Winter Baby Sleep Suit Bag 2.5 Tog is a must-have sleeping accessory for your little one. What's more, you can quickly and easily transition this sleeping bag into a sleep suit with the use of the zippers! This sleep suit bag makes the transition from pushchair to car an absolute breeze. The grip pads on the feet of the ErgoPouch Winter Baby Sleep Suit Bag 2.5 Tog is perfect for those little walkers. This sleep suit also features cotton fleece sleeves with fold down mitts for extra warmth! The 2.5 Tog of this sleeping bag is designed for the slightly colder temperatures of 17 to 23 degrees Celcius. Made with an organic cotton sheeting outer layer and 100% cotton filling, this sleeping bag is incredibly skin-friendly! Last but not least, the 2-way zipper of this baby sleep suit bag from ErgoPouch means that you have easy access from both directions, making nappy changes ultra easy! It's a must-have item for your little bubba. What are the specifications of the ErgoPouch Winter Baby Sleep Suit Bag 2.5 Tog? Fabric: Outer: 100% Organic Cotton. Side Panels: 95% Cotton, 5% Elastane. Filling: 100% Organic Cotton. Care: Gentle cold wash. Cool tumble dry. Moderately hot iron. Drycleanable. Showing our 3 ErgoPouch Winter Baby Sleep Suit Bag 2.5 Tog reviews with an average rating of Excellent. Would you like to write a review? Easily goes from sleeping bag to sleep suit, and it keeps our little boy warm at night whilst still being comfortable. Overall good product. My little girl really struggles to sleep in a sleeping bag but I didn't want her getting cold at night, so we thought we'd try the ergobaby winter sleep suit. She sleeps really well it in and it's easier to get her up and moving in the mornings as she just keeps the suit on. She doesn't struggle to try and walk in it either which is really handy!